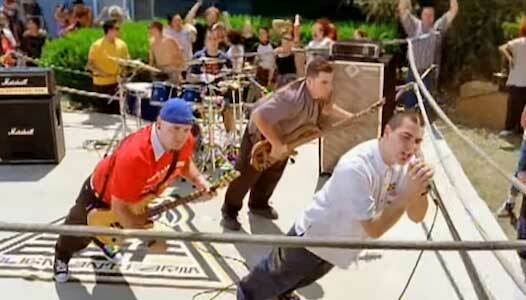 Alien Ant Farm is an American rock band that was formed in Riverside, California in 1996. The group was at their peak in the early 2000’s, with their songs being featured in films such as American Pie 2 & Spider-Man. Their unusual name comes from an idea that guitarist Terry Corso had about aliens and the Earth. He said, “It was just my daydream about our planet being seeded by entities from other dimensions.” They are best known for their Michael Jackson cover “Smooth Criminal”, and the music video that accompanied it. Terry Corso (guitar) wears blacks chucks in the video. The song “Smooth Criminal” was originally recorded by the King of Pop Michael Jackson in 1988, and that is the version that the vast majority of people know. So Alien Ant Farm definately needed to make their version stand out from the well-known classic, and they definitely made this song their own. By making their version a driving rock composition, they separate from the original, and make the tune their own. The guitar really drives the song at a much more frenetic pace than the original, and Dryden Mitchell’s vocals are a perfect fit for the more gritty feeling they’re trying to achieve. The band paying homage to the King of Pop. 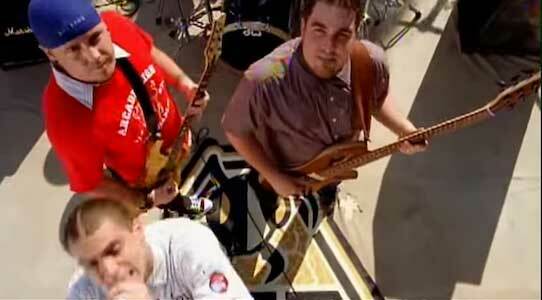 The video takes place in a backyard where the band performs inside a wrestling ring. This is definitely a unique setting and gives the video a very underground and grungy look. There are fans moshing outside the ring, which makes the ropes bounce up and down and really adds to the visual. We see many of those in the crowd wearing chucks, and guitarist Terry Corso wears a black pair in the video. This selection of footwear adds to the punk rock vibe of the video. There are also many references to Michael Jackson in this video, and it’s obvious that the band admires him very much. The band does the iconic anti-gravity lean from the original “Smooth Criminal video”, and Mitchell sits with a baby chimpanzee, which is a reference to Jackson’s chimpanzee, Bubbles. There is also a kid who does many of Michael’s dance moves on the sidewalk. 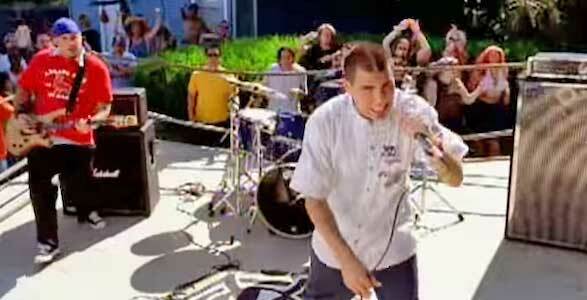 Overall, the video definitely adds another layer of uniqueness to Alien Ant Farm’s version of the song, and showcases the perfect way to do a cover while paying tribute to the original. The band performs in a backyard wrestling ring. Get a new pair of chucks to wrestle in by clicking on the links below.